Your own personal wellness space. Forget about the everyday life. Enjoy a moment of spiritual and body healing. 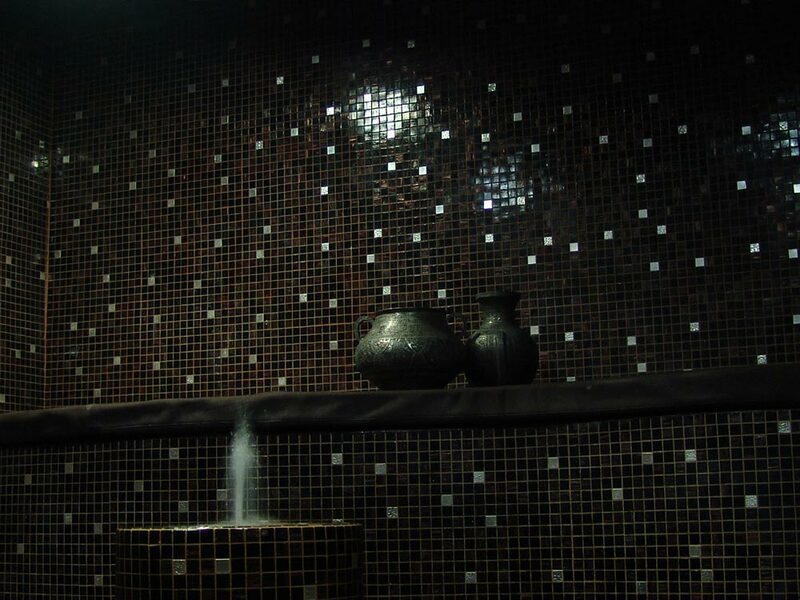 In our Beauty Farm you will find private boots dedicated to individual or couples treatments, managed with flexible options and an unique “beauty suite”, a luxury oriental hammam where our guests will enjoy a steam ritual, surrounded by warm colours, under a starry night sky. An intimate experience far away from crowded and noisy contemporary SPAs. Treatments, rituals and massages with essential oils that will give you fresh new energies. You will be involved in a sensorial experience of deep relaxation where you will have the chance to try, on your own or with your partner, highly professional treatments carefully thought for you and your personal well-being, here in Bagno di Romagna. 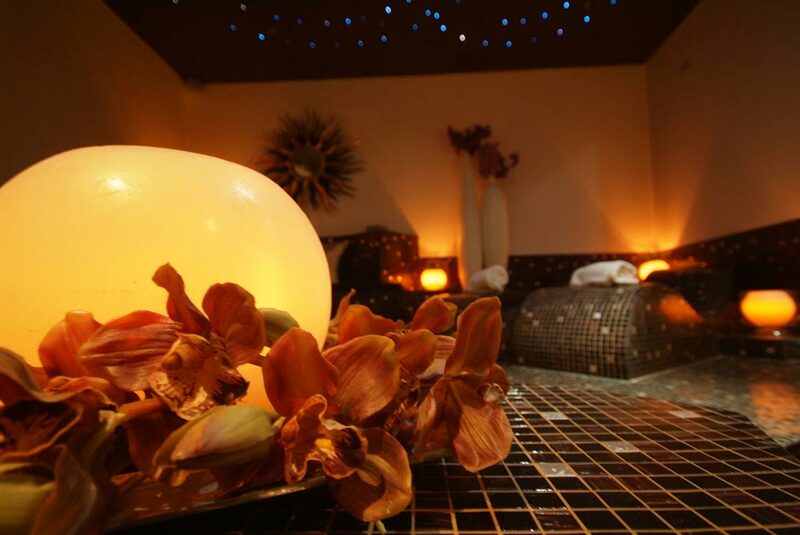 A glamorous space, ideal for sharing a moment of deep relaxation with your partner or a small group of friends. 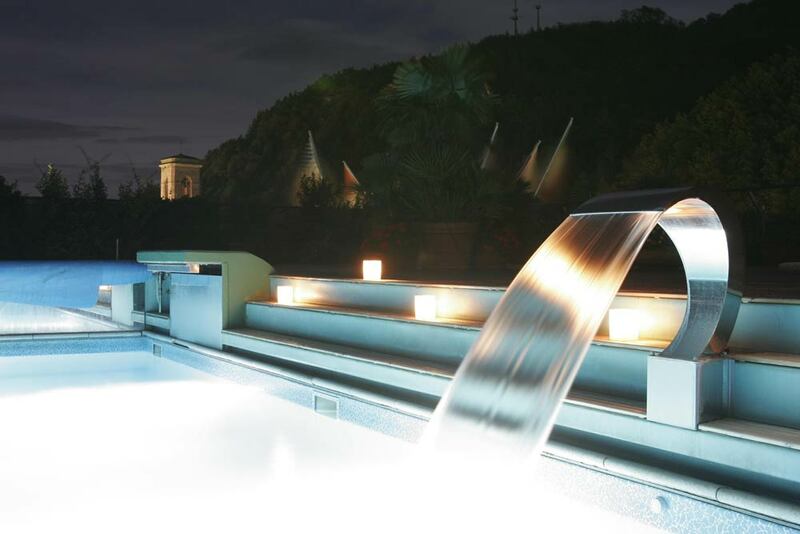 A Turkish bath and a refined relaxing area surrounded by a night sky may become your own personal “Private SPA”. 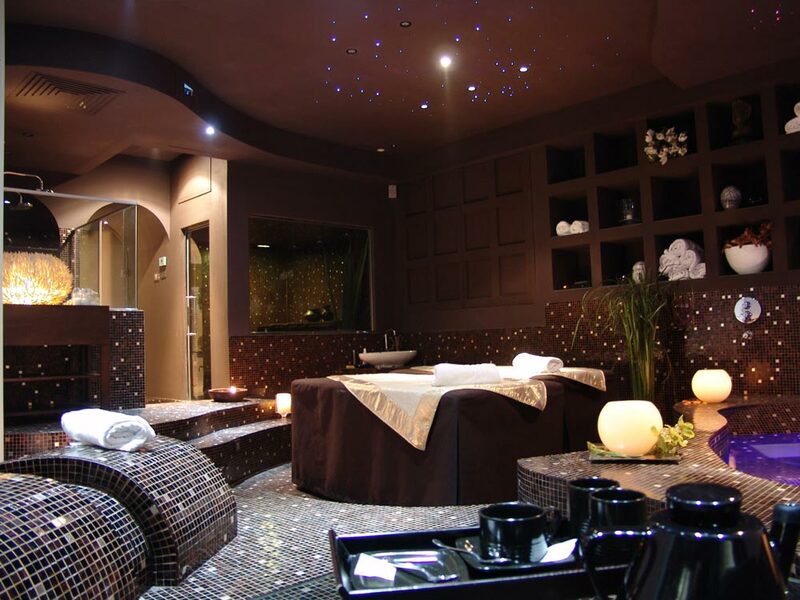 You will be cuddled with special rituals and steamy treatments, a real and proper suite dedicated to you and your peace. The first day you will be sleepy, on the next day you will experience some headache, just to wake up on the third one totally revived and ready to change everything. 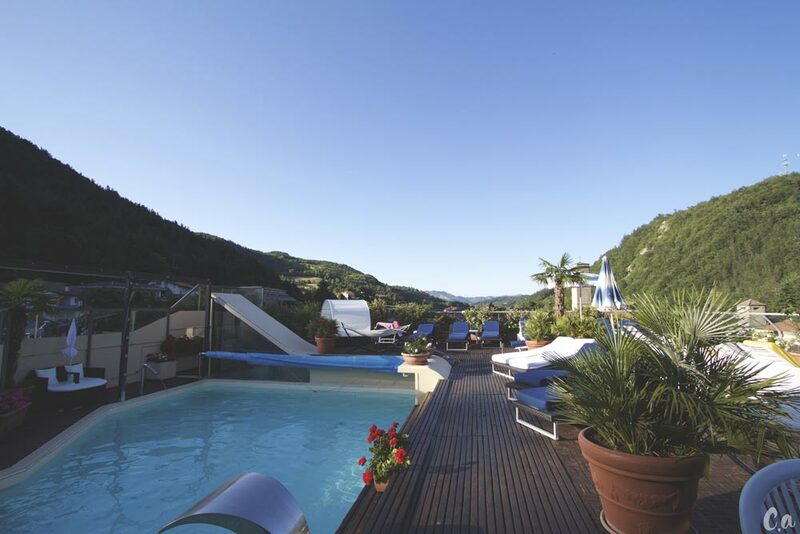 Wellness Pool: Dive into the warm waters of our rooftop pool: enriched with magnesium chloride and potassium. This avoid the use of artificial chloride. This natural composition will provide a special wellness experience by making your skin soft and velvety. A glamorous 50 square metres “beauty suite”. A relaxing heaven to be shared with your partner. Relax on our comfortable chaise longue while tasting sweets and savory finger food, and fresh fruit juice. A sense of complete well-being. The path to find your personal balance starts with a preliminary analysis run by our nutritionist, followed by guided and ad-hoc treatments at our Beauty-Farm and with unique training programs set for you by trained Yoga and Personal Coaches. These are three pillars on which the “anti-aging” programs, of our Beauty Farm Gaia Teverini, are based on. - Anthropometric and bioelectrical impedance analysis. This evaluation will lead to the development of an ad-hoc and balanced meal plan that should support the new wellness lifestyle. The pleasure of a meal meets a dietary balance. 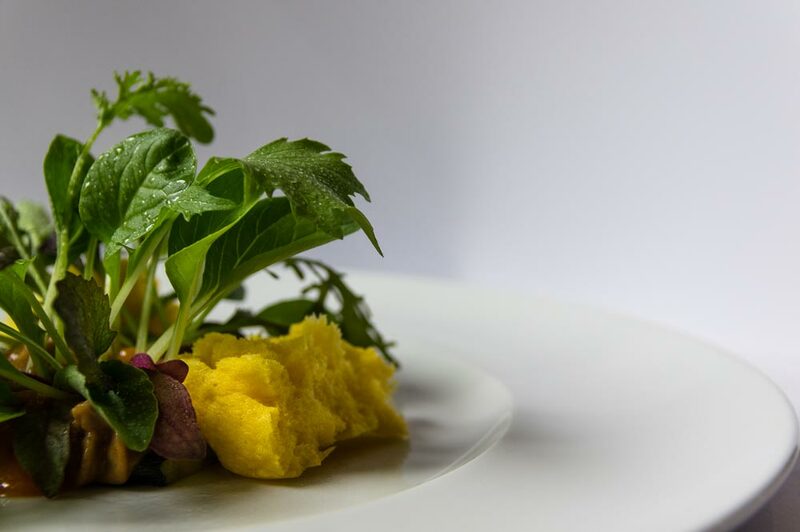 The Michelin Starred Chef Paolo Teverini, thanks to the technical studies he run in the 90s has set the path in the field of tasty but healthy food, known as “Cucina Naturale”. Modern cooking techniques, the best fresh ingredients, clever gastronomical matching provide a meal plan centered on healthy dishes, while enjoying the best Italian classics. At your disposal modern Technogym machines at Centro Fitness Body Art (600m away from the Hotel). You will be guided by a private coach and a personal workout plan, remotely followed up. Specific activities to be run during your stay, always guided by qualified trainers. Yoga and meditation classes meant to revive your muscles and joints dormants in an every-day routine. Furthermore, the chance to hike in the uncharted wild of our forests in Bagno di Romagna. Oil treatments, oriental rituals and reviving massages always available. 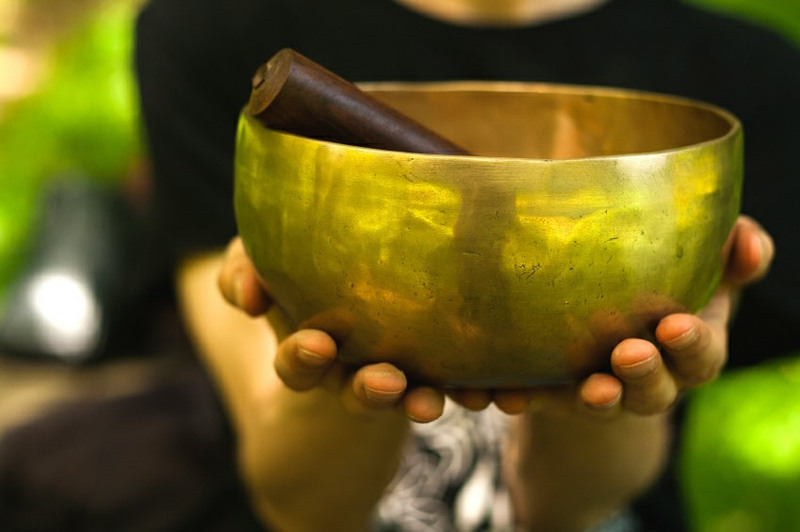 Our varied offer, thoughtfully paired in ad-hoc programs will bring a complete new wellness feeling to your life, with some very important anti-stress functions. Then our face and body treatments, detox and anti-aging programs, are all supported by signature products, mixed on your needs as to be a cocktail just for you.